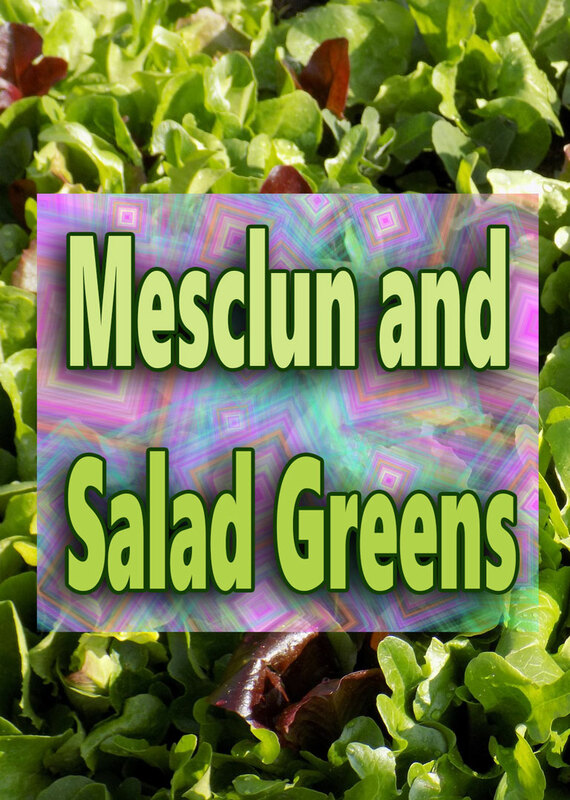 Mesclun and Salad Greens are a fun and flavorful choice for any gardener, regardless of your experience level. 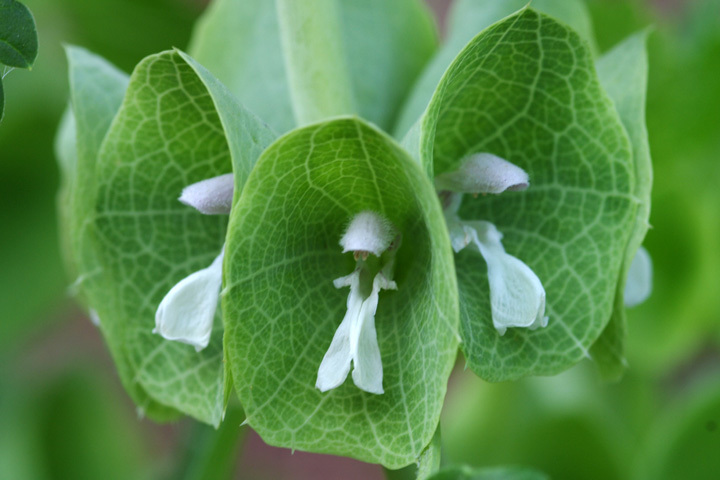 They’re easy to grow, even in limited spaces and are a staple crop for any garden. 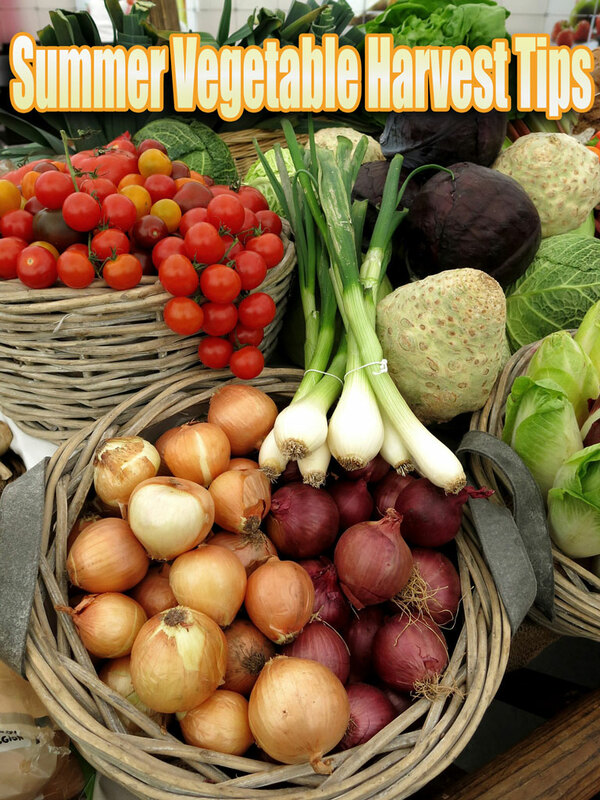 There is an abundance of salad crop varieties to choose from; As long as you have a location that receives six hours of sun daily, you’re ready to sow a mix of varied greens in the garden. Mesclun Mix – Seed packets containing a mesclun mix usually include four to eight different types of seeds offering salad greens in a variety of leaf colors, shapes, textures, and flavor intensities. Some mixes are heavier on the spicy greens, and some favor the milder-flavored greens, so you can select a mix to suit your taste buds. 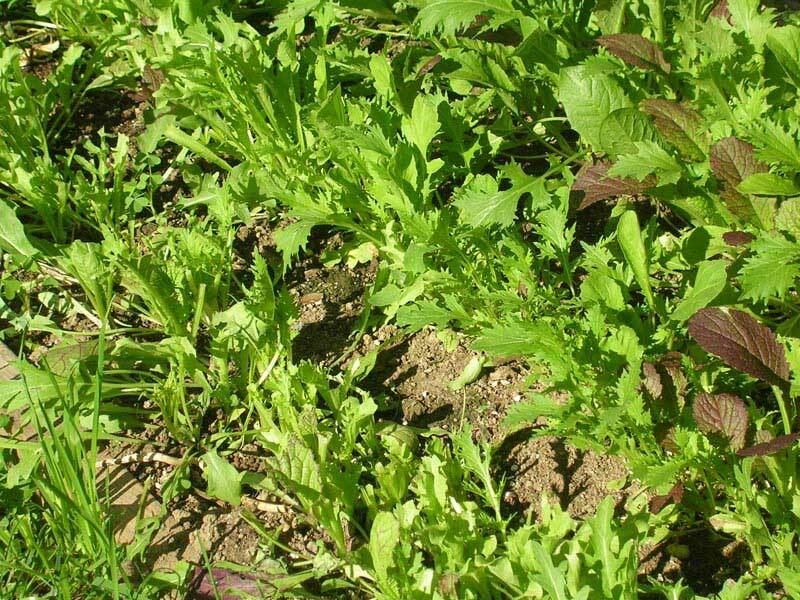 If you have the space, you can go wild planting many types of salad green varieties, but for smaller gardens or if you can’t decide which green to grow, a nice option is a mesclun mix. 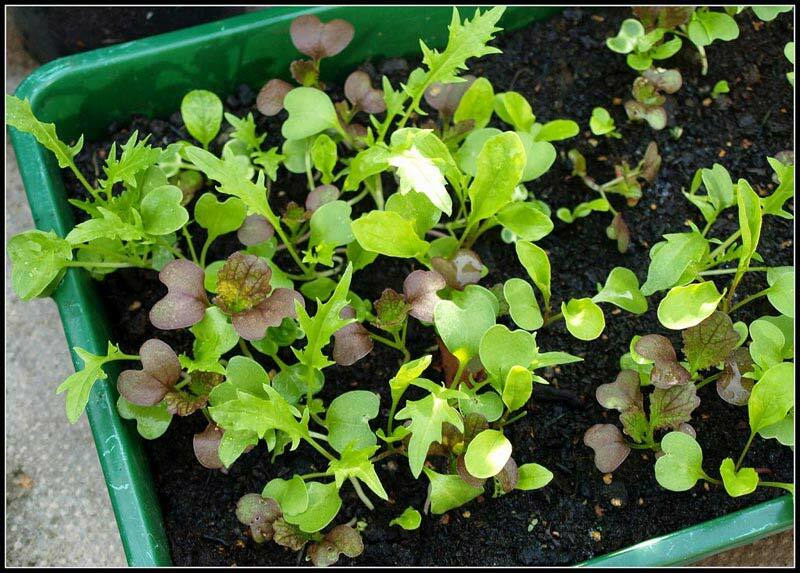 Even where space is limited, you can sow a mix of salad greens into a big container to create a colorful mesclun mix bowl that you can graze on for several months. Be sure to select an area that receives at least 6 hours of daily sunlight. As soon as the soil can be worked in the garden, make a raised bed, amend the soil with compost, and sprinkle a small patch with seeds. To get an even faster jump, plant the first batch in a cold frame structure. 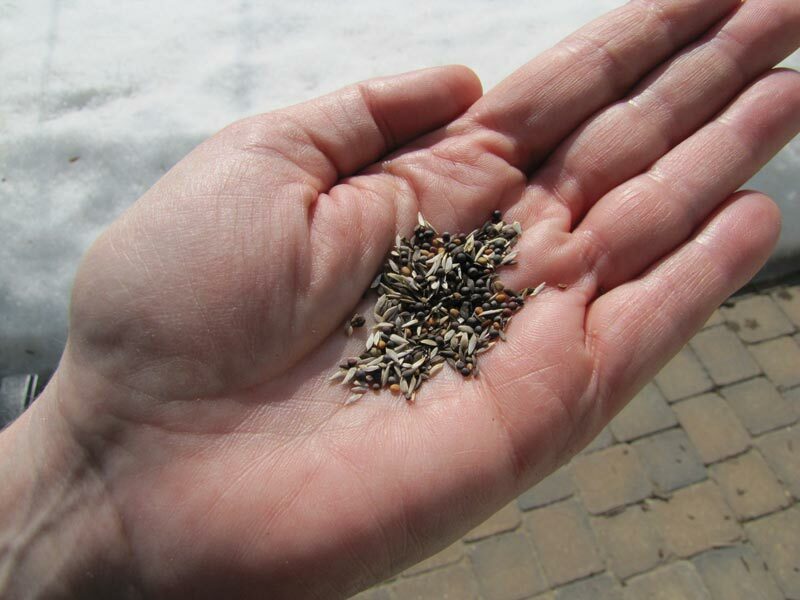 Don’t worry about how thick you sow seeds because you can thin and eat as the plants emerge. 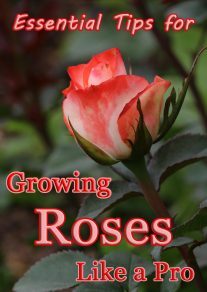 Keep them well watered and fertilized with fish emulsion every few weeks. Consider sowing small amounts in succession every few weeks so you’ll always have a fresh batch of tasty baby lettuces ready for harvesting. 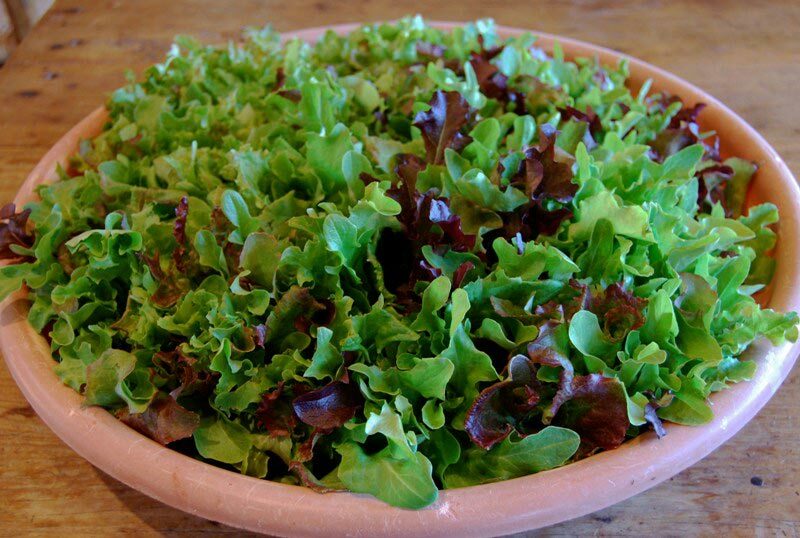 Harvest mesclun mix salad greens as you would leaf lettuces, leaving an inch or two of growth, as “cut and come again” crops. Keep an eye on mature greens for signs of nitrogen deficiency, which will show up as yellowing leaves. Foliage plants require plenty of nitrogen to thrive, so if your garden beds are relatively new or the soil is not very fertile, add a nitrogen fertilizer. Water well after fertilizing, and you will be rewarded with lush greens for your table.